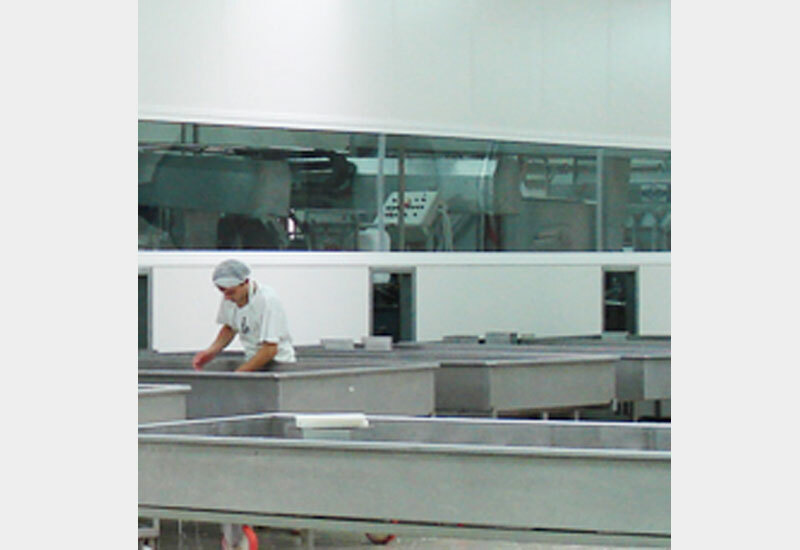 Ferbox fixed frames are specifically indicated for food processing rooms and cleanrooms to convey more visibility between departments and corridors, to light up the space. It is possible to have the product in different sizes since they are built as required by the customer. Stove enamel can be customised. Ferbox builds tilt-fanlight or awning window frames with screen door. 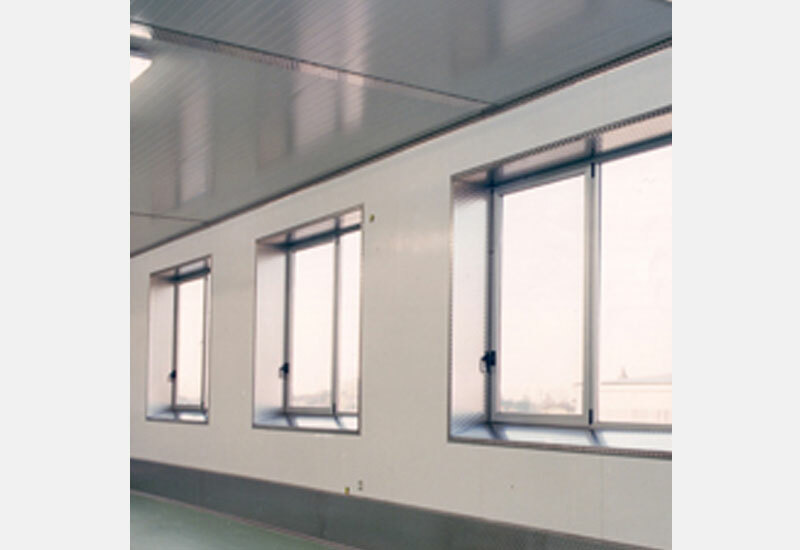 They are used inside offices, restrooms, dressing rooms and inside rooms where fresh air is always needed. 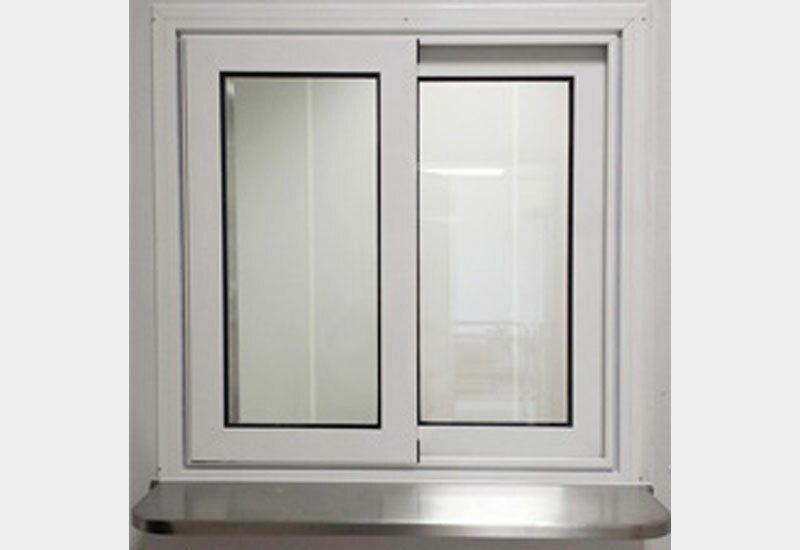 Ferbox sliding window frames are installed inside billing, shipping and delivery offices since they are useful for documents and small parcels exchange. 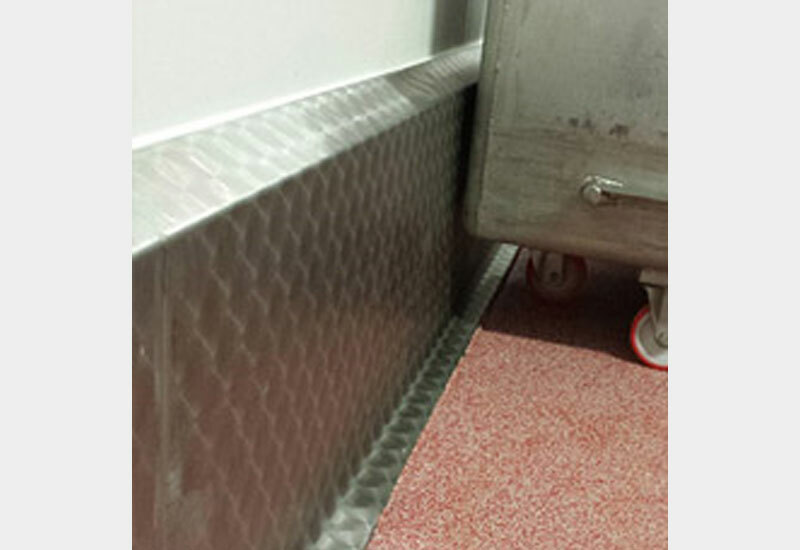 La Ferbox is specialised in protections and buffers made of inox steel, which are necessary inside food industry to protect the panelling. The aim is to decrease extraordinary maintenance costs due to continuous handling and storage of products by trucks and forklifts. Our walls guarantee better cleaning and sanitisation blocking seepage of dirt and processing waste during the cleaning between wall and floor. They are custom-made and built on site to guarantee a perfect implementation also inside extremely complex spaces. It is possible to have the product in different sizes, thickness and with satin inox, decorated inox or 2B inox steel finishes. 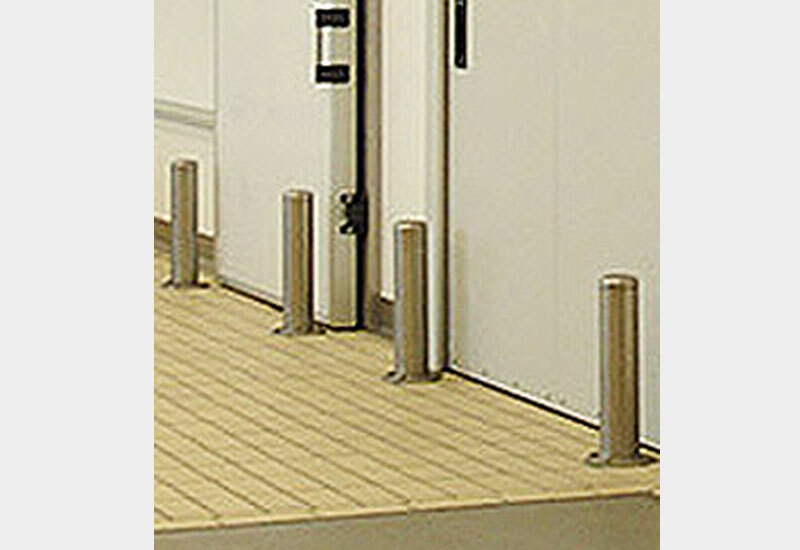 Ferbox is specialised in inox steel shockproof poles to protect doors, passages and edges. The aim is to decrease maintenance and restoration of damaged parts costs due to the continuous passing of products on trucks.